Secured regulatory commission approval to build new power plants and improve existing power plants (including wind farms, nuclear, gas and coal (largest baseload power plant in US in 20 years)). Secured regulatory commission approval to adjust utility rates both in general rate cases and in special purpose rate cases to recover such items as fuel costs, spent nuclear fuel storage costs, and costs of new emission control devices. Represented Inter-utility Planning Committee which is comprised of the major investor owned utilities in the State of Wisconsin in connection with biannual long-range planning approval proceedings before the Wisconsin Public Service Commission and all other regulatory matters of common concern to the members of the IPC. Represented utility holding companies in merger approval proceedings. Represented utilities in rule making proceedings. As a founding board member of the Wisconsin Bar Association's Energy and Telecommunications Section, Mr. Martin helped revise the Public Service Commission of Wisconsin's procedural rules. 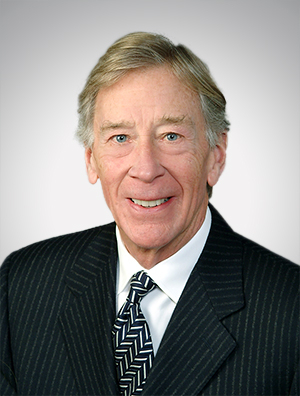 He was listed in The Best Lawyers in America® since 1989, and has an AV rating from Martindale-Hubbell (highest possible rating by peers for quality as well as ethics of legal representation).